Edenflo is the Lower Mainland’s first choice for residential and commercial pump truck services. Businesses choose our vacuum pump service because we have an extremely wide range of applications available, a large selection of available equipment, and experience serving the needs of our large and diverse corporate clientele. We offer a great service to Food Service and Production clients, including Grease Trap and Grease Interceptor cleaning and service, as well as food and organic waste disposal. We offer commercial sanitary services, including holding tank and treatment plant service and maintenance, cleaning and maintenance to sewer lines and pumping stations, and commercial vacuum services. 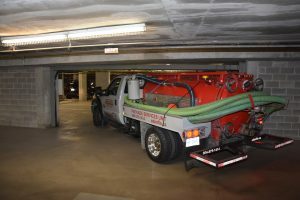 For those businesses with buildings to maintain, we offer storm drain and catch basin cleaning service, including “lowboy” truck service that’s able to get into underground parking lots with low ceilings and other hard-to-service areas. When a problem occurs, we can positively diagnose blockages and other problems using Video Line Inspection technology, in which a camera is placed at the site of the problem, allowing us to see exactly what’s going on. In addition to quick response when a problem arises, as your pipe service specialists, we’re able to offer expert preventative maintenance, so that you don’t have to solve problems, because you’ve avoided them. When you need vacuum pump service in Vancouver, Aldergrove, Surrey, Langley, Burnaby, New Westminster, Delta or White Rock, contact the best at EdenFlo Pump Truck Services at 604-575-1414 and schedule your service or inspection today. This entry was posted in Vacuum Pump Service and tagged Abbotsford Hydro Excavation, Aldergrove hydro excavation, bc lower mainland pump truck services, bc lower mainland video line inspection, Burnaby Hydro Excavation, commercial pump truck services, commercial sanitary service lower mainland, commercial sanitary service vancouver, Delta hydro excavation, drain blockage lower mainland, drain blockage vancouver, Food production waste removal, grease interceptor cleaning Vancouver, grease interceptor service lower mainland, grease interceptor service vancouver, grease trap blockage, grease trap cleaning aldergrove, grease trap cleaning burnaby, grease trap cleaning Delta, grease trap cleaning langley, grease trap cleaning New Westminster, grease trap cleaning Surrey, grease trap cleaning White Rock, grease trap inspection, grease trap maintenance, Grease trap service, hydro excavation service lower mainland, hydro excavation service vancouver, Langley hydro excavation service, low ceiling pump truck service, New Westminster hydro excavation service, surrey hydro excavation service, vancouver video, vancouver video line inspection services, west vancouver video line inspection services, White Rock Hydro Excavation service on December 16, 2018 by Edenflo. This entry was posted in Hydro Excavation and Flushing and tagged aldergrove video line inspection services, burnaby commercial drain services, burnaby video line inspection services, delta video line inspection services, Hydro flushing, Hydro jetting, langley video line inspection services, Line jetting, new westminister video line inspection services, north vancouver video line inspection services, Parkade drain cleaning, Parking lot drain cleaning, richmond video line inspection services, sewer line flushing, Sewer line jetting, surrey video line inspection services, vancouver video line inspection services, west vancouver video line inspection services, white rock video line inspection services on July 26, 2011 by Edenflo. Buying a house is more than just about comfort and aesthetics. If you are considering buying a house or moving to a new place, it important that you inspect the condition of the septic system as well. The septic system should be at its best. So before purchasing that house, here are some guides to help you inspect the septic system. Look for a home inspection service company. 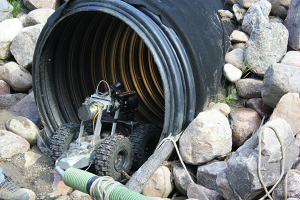 Inspecting a septic system requires trainings and expertise. Looking at it by yourself will not do you any good. So hire an inspection company to do the job for you. They know how and what to look at the septic system, particularly the condition of the septic ground water. Remember the old saying? Leave it to the experts. Septic systems may cost you a lot. One thing that hinders an individual from contracting the service of an inspection company is its cost. But this should not really restrain you. Consider the expenses as part of buying a house. If you are not going to spend for the septic system inspection, you might end up buying a house with an aging septic system, which you would have to replace in 3 or 5 years. At the end, spending for inspection will be less expensive than not inspecting the system at all. Know more about the septic system. Yes, standing beside an opened septic tank may be difficult. But if you were buying a house, it would be wise if you will know more about that house’s septic systems by accompanying the inspectors during inspection. This will also assure that the inspector will do its job very well knowing that you are observing what is done. Don’t trust the realtor’s report on the septic system. The seller of house usually includes a report on the status of the septic system. Do not trust this report, as this is more likely a bias one to get a good deal. When buying a house, it is important that you inspect the septic system as well to know its condition. Inspection will give you idea to gauge on up to long the septic system will still last before replacing it. This entry was posted in Aging Septic Systems, Septic Tanks and Field Cleaning and tagged aging septic systems, aldergrove video line inspection services, burnaby video line inspection services, delta video line inspection services, langley video line inspection services, new westminister video line inspection services, north vancouver video line inspection services, richmond video line inspection services, Septic field cleaning, septic system cleaning, Septic System Inspection, Septic System Inspections, septic systems, Septic tank cleaning, Septic tanks, surrey septic, surrey video line inspection services, vancouver video line inspection services, west vancouver video line inspection services, white rock video line inspection services on June 8, 2011 by Edenflo. Are you a commercial business owner or a restaurant entrepreneur or franchiser? If so, you probably have a sanitary device installed at your business. Sooner or later, you will need that device to be cleaned and a septic tank service that will properly maintain and pump out any unnecessary dirt or debris before problems arise. 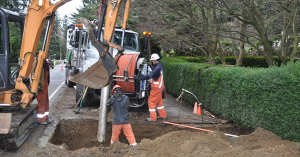 Sanitary services include septic tank pumping, combination vacuum and high pressure cleaning, hydro digging, sewer lines and catch basins, and restaurant grease traps. For commercial purposes, septic tank pumping would be the service suitable to remove sludge or scum in your septic tank. A septic tank is a large tank where any water waste or debris is decomposed by bacteria. Large tank trucks collect and remove any build up in the tank and dispose of it in a regulated landfill site. These services will solve any problems that come up and recommend solutions to avoid it in the future. As a restaurant entrepreneur or franchiser, regularly pumping out your grease traps can save you from a lot of complications and save you money. In the food sector, businesses are required and have a responsibility to have grease traps installed. These are one of the most effective ways of trapping grease and the best way to avoid sewage back ups. Regular maintenance of grease traps allows you to avoid any problems and avoid any accumulation of grease that may result in build up, disgusting odours, and a high expense. These services are safe, reliable, and effective. If you are a commercial business owner or a restaurant entrepreneur or franchiser, it is recommended to have a scheduled maintenance check up. This entry was posted in Septic Tanks and Field Cleaning and tagged aldergrove septic tank cleaning, aldergrove video line inspection services, burnaby commercial drain services, burnaby commercial sanitary, burnaby food waste disposal, burnaby organic waste disposal, burnaby septic tank cleaning, burnaby video line inspection services, commercial sanitary services, delta septic tank cleaning, delta video line inspection services, food service and production, langley septic tank cleaning, langley video line inspection services, new westminister commercial drain services, new westminister commercial sanitary, new westminister food waste disposal, new westminister organic waste disposal, new westminister septic tank cleaning, new westminister video line inspection services, north vancouver septic tank cleaning, north vancouver video line inspection services, private sanitary services, property maintenance services, richmond, richmond commercial drain services, richmond commercial sanitary, richmond food waste disposal, richmond organic waste disposal, richmond septic tank cleaning, richmond video line inspection services, surrey septic tank cleaning, surrey video line inspection services, Vancouver commercial drain services, vancouver commercial sanitary, vancouver food waste disposal, vancouver organic waste disposal, Vancouver septic tank cleaning, vancouver video line inspection services, west vancouver septic tank cleaning, west vancouver video line inspection services, white rock septic tank cleaning, white rock video line inspection services on February 15, 2011 by Edenflo.